Davis and Jenkins prides itself on being one of Australia’s leading suppliers of innovative machine knives and accessories for the plastic, paper, metal, wood and printing industries. We use our skills and experience in the industry to develop and refurbish state of the art cutting tools and accessories. 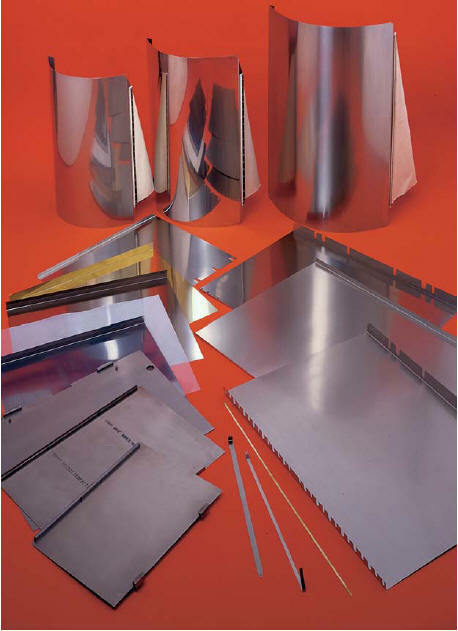 Included in our of scope of printing industry consumables, is a wide range of wash up blades and printing cylinder jackets. We have an extensive range of accessories available at our Fairfield location, including products from world renowned printing developer, Heidelberg. Known for their innovation and dedication to improved quality and operator safety, Davis and Jenkins is proud to offer high quality cylinder jackets and wash up blades. Why Choose Davis and Jenkins? With our 100 plus years of operation and our team being highly dedicated to their craft of developing, grinding and providing advice on cutting and printing equipment, you can trust that when you choose Davis and Jenkins for your service, you are choosing the best in the industry. We are a specialised business who has a detailed understanding of the different parts and appendages of a comprehensive range of cutting and printing equipment, and we are more than happy to assist our valued clients in finding the right solution for their equipment. If you have any enquiries about the accessories available at Davis and Jenkins, including that of our Heidelberg cylinder jackets and wash up blades, or if you have any enquiries about the grinding service we provide, feel free to get in contact with our friendly team. We are committed to providing our clients with the highest standard of service available, and will be happy to assist you with any questions you have regarding our products or services. Call us on +61 3 9499 2858 or submit an enquiry form on our contact page and we will get back to you with all the information you require.